Yesterday, Krebs wrote an article about "Indexeus" which is a new search engine containing database of stolen user names and passwords from more than 100 data breaches. According to KrebsOnSecurity, the database contained stolen credentials from the recent Yahoo and Adobe breaches. The site also contained databases of few hacker forums that have been hacked. It seems to have ticked off many hackers. 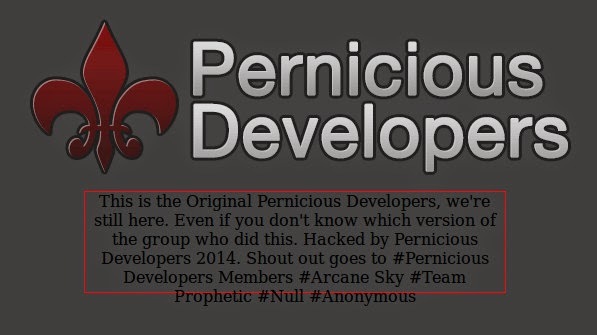 Today, the website was defaced by hacker group Pernicious Developers. "This is the Original Pernicious Developers, we're still here. Even if you don't know which version of the group who did this." The defacement message reads. At the time of writing, the website shows a blank page. 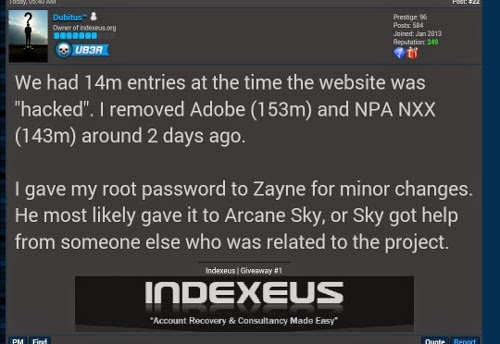 The hacker group have provided a screenshot that shows they uploaded a backdoor shell to the affected website.